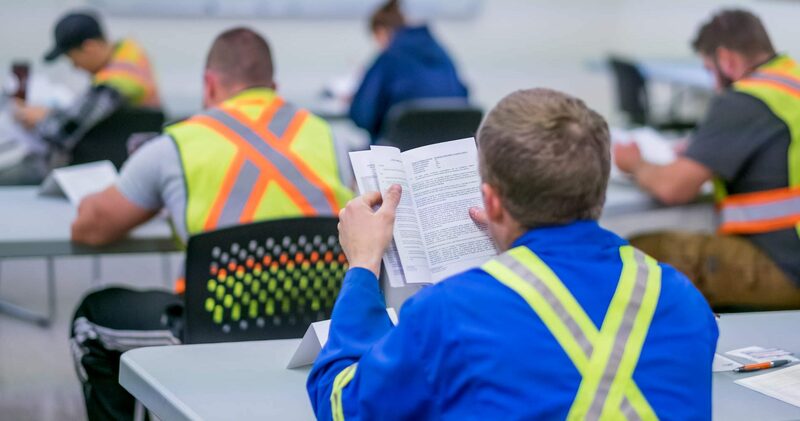 IUOE Local 115 knows education is important for you and your children, which is why a number of scholarships and bursaries are available to IUOE Local 115 members and their families. Awarded annually to a dependent of a member of a Canadian local of the Operating Engineers. Ten bursaries of $750 each. Two of these are allotted to British Columbia. The bursary recipient must be entering their first or subsequent year of a full-time course of study (at least 2 years in length) leading to a diploma, certificate or degree from any recognized public Canadian college or university. Applications must be supported by transcripts of high school achievement and accompanied by a detailed letter of recommendation from an individual with personal academic knowledge of the candidate, outlining reasons why the bursary should be awarded. In addition, applicants must submit a 1000-word essay on the reason why the bursary will be of assistance or the impact that being a dependent of a union member has had on the applicant’s life. The British Columbia Building Trades established two bursaries in memory of the late Fred Randall, Business Manager of the Operating Engineers Local 115 from 1980 to 1991 and MLA for Burnaby-Edmonds from 1991 to 2001. $500 each to two successful candidates. Applicants must be a member in good standing; be enrolled in a union-recognized trades training program, and; submit a 250-word essay on the topic of “Commitment to Trade Union Principles”. The committee will make its selection considering financial need, proficiency in the trade, and the applicant’s commitment to trade union principles. Joint training boards from each affiliated local union can submit a name from their membership for consideration. The two selections will be made from those applicants. Following the committee selection, the successful applicants will be awarded their bursary upon confirmation of their attendance in their training program. Awarded annually to a son, daughter or legal ward of a member of the International Union of Operating Engineers Local 115 entering first-year studies. Total $2000. May be divided between more than one applicant. Applicants must be a son, daughter or legal ward of a member of the International Union of Operating Engineers Local 115 entering first-year studies in any discipline at a recognized Canadian college, university or vocational school as a full-time student. High school transcripts may be requested. Awards are based upon secondary school academic standing. September 30. Awards are presented in November. Scholarship awarded in the name of the late Donald Smith, a longtime member of IUOE Local 115. Awarded annually to a son, daughter or legal ward, a member or a member’s spouse who is in full-time attendance at UBC, SFU, University of Victoria, University of Northern British Columbia or BCIT pursuing studies in engineering, industrial relations or law at either the graduate or undergraduate level. Awards are based upon academic standing. Originally established in 1989 by Operating Engineers Credit Union, which merged with Community Savings Credit Union in 2009, the memorial provides an annual donation to honour the pioneers of the Operating Engineers Credit Union. Bursaries from the Operating Engineers Credit Union Pioneers Memorial as well as other trust funds are offered through the Credit Union Foundation of BC. These bursaries provide supplemental assistance to students in academic, vocational or technological programs at B.C. educational facilities. The prime criteria and basis of the bursary is specified and assessed financial need. Awards from the Community Savings Credit Union OECU Pioneers Memorial bursary are designed to help disadvantaged youth pursue higher education. Applicants should therefore demonstrate a strong and justified financial need for assistance, along with supplementary documentation and your proposed requirements. Applications for students starting school in the fall are accepted between September 1 and October 15. For an application, visit www.cufoundation.org or stop by the Operating Engineers branch of Community Savings Credit Union at 4590 Hastings Street in Burnaby, B.C. You can also visit Community Savings Credit Union or reach us via email. The Pipe Line Contractors Association of Canada has established a program for students whose parent or guardian is employed (or has history of employment) with a company who is a member or partner of the Pipe Line Contractors Association of Canada and who plan to continue their education at a college or university. Awards are offered each year for full-time study at a recognized Canadian accredited postsecondary institution of the student’s choice. A son, daughter, or ward of a person whose principal income is derived from the pipeline construction industry. The parent or guardian of the applicant must be employed by or have a history of employment with a company who is a member or partner of the Pipe Line Contractors Association of Canada. Proof of full-time enrollment in a program leading to a diploma or degree in any field at a recognized Canadian college or university. Applications received from students enrolled in post-graduate programs may also be considered. The applicant must provide proof of full-time enrollment in a program leading to a diploma or degree in any field at a recognized Canadian college or university. Applications received from students enrolled in post-graduate programs may also be considered. Applications for this year’s awards will be accepted in September 2018. Details will be posted online at www.pipeline.ca, and will then be made available on this site. Award payments are processed by Pipe Line Contractors Association in December.